Email to book cottage! or book via Airbnb. Typically $99-109 per night, $650 per week. Newly renovated, Bananarama Cottage features an ocean view, large, screened-in lanai with dining table and loveseat, King bed, and Jacuzzi whirlpool tub. Its design is inspired by its location on a boutique banana farm featuring 100 different varieties of bananas–great for Foodies. Perfect for 1-2 adults. Enjoy the entire house all to yourself. Cottage and property are not shared with other units. Best views of recent lava can only be seen by taking a helicopter or lava boat tour out of Hilo. Book well ahead of time to guarantee a seat! 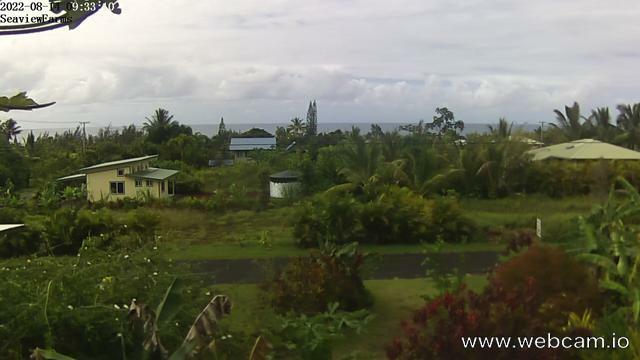 Set in a small neighborhood 1/3 mile (5 minute walk) from the gorgeous ocean-front park and cliffs, and 1 mile from Kehena black sand beach. Bananarama is located off the Red Road Scenic Byway in the Puna District, on the Big Island of Hawaii. Twenty minutes from Pahoa. Forty-five minutes from Hilo.